In light of the numerous updates we received shortly after this entry was published, we've made strategic alterations. LEYTR has learned that from 1 April 2010 the minimum age requirement for those entitled to an English National Concessionary (ENC) free bus pass will alter on a sliding scale from 60 to 65. Currently, anyone who turns 60 years of age is entitled to an ENC bus pass, along with those of any age who have certain disabilities. 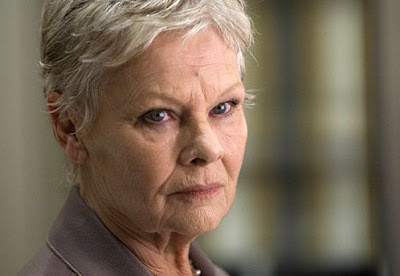 She's entitled to one - Dame Judy Dench, 75, but does she possess an ENC pass? 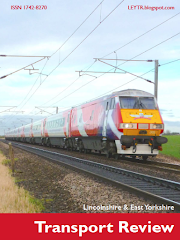 In a move that perhaps acknowledges that the £1 billion set aside of the scheme is insufficient, the Department for Transport (DfT) is understood to have wanted the minimum age requirement increased in order to prevent having to commit further funding to the scheme. At the same time, the way in which the scheme is administered will begin to alter, to effectively remove one layer of bureaucracy with county councils being the ones who receive and allocated funding, rather than individual local authorities. This will be fully completed by 2011. 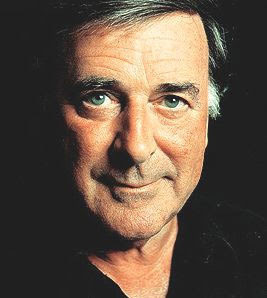 Sir Terry Wogan recently retired from full-time employment at BBC Radio 2, but aged 71, did he use his entitlement to an ENC bus pass for free travel to 99 Great Portland Street each morning by bus? If the person turns 60 between 6 April and 5 May, they will have to wait until 6 May to qualify; those whose birthdays are between 6 May and 5 June will have to wait until 6 July. Those who turn 60 between 6 August and 5 September will have to wait until January 2011. The plan is to have parity between the increased pensionable age for women and the ENC bus pass by 2020 - both at the age of 65. Bus operators have a lot to say on the ENC scheme. Perhaps many thought that, despite the government claiming none would be better- or worse-off, they'd be able to corner their area of the market. In most cases, this hasn't occurred, with the reduced reimbursement rate ensuring operators' profits haven't sky-rocketed. After all, why should £1 billion of our taxes go towards securing a better share price for private bus companies! Many, though, have felt that they are left worse-off. They've done their own calculations and believe the reimbursement rates they're receiving fall way short of the break-even mark. 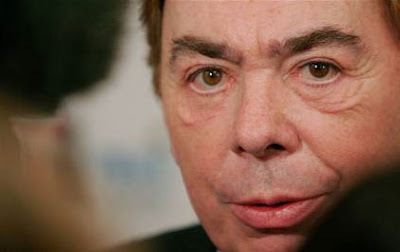 Lord Andrew Lloyd Webber is one of the lucky ones, turning 62 before 1 April 2010, and has thus been entitled to a free ENC bus pass since the scheme went nation-wide two years earlier. Does he possess and use one we wonder? Ensuring the DfT's annual £1 billion outlay is used more efficiently has the effect of satisfying bus operators (who'll see first-hand by 2011 that a level of bureaucracy has been lifted) and progressively fewer people are joining the system aged 60. The journalist who brought us news of the age change (but one who doesn't specialise in transport), added: "It's crackers that a 60-year old man in full-time employment should be allowed to spend these final years contributing to the state while the state pays his travel. It's also surely wrong that a 60-year old Goldman Sachs employee is also entitled to travel for free on buses just like a 60-year old granny on Income Support." 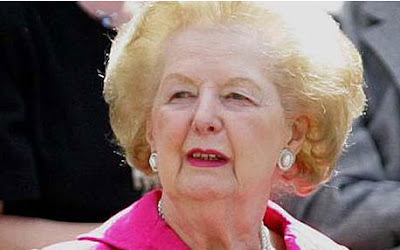 Baroness Margaret Thatcher oversaw the privatisation of the bus and coach industries, though we like the idea that, aged 85, she queues up at Swiss Cottage in central London for a bus to the Post Office on Monday mornings. It's not wrong at all. The cornerstone of our democracy is equality. Preventing certain over-60s from free bus travel would take the country's social equality credentials down a very tricky path indeed. Had, on the other hand, Gordon Brown (as Chancellor) opted to introduce the ENC scheme on a means-tested basis *from the start*, making such changes now wouldn't be needed and claims - by journalists (and perhaps operators) - of disparity wouldn't arise. So, efficiencies in the administration of the ENC scheme are being made and a progressive increase by five years for the age-related entitlement of the card are being introduced to ensure no further funding is required. This will please many in the industry though not those (voters) now approaching 60. Leeds-born Helen Worth (Coronation Street's Gail Platt) is one of the unlucky ones, aged 59 at 1 April 2010. She'll have to undergo a further two years of taxi and limousine rides before she can get on a bus for nowt. Finally, if you're, say, 62 and your pass runs out in 2011 (when you'll turn 63), does this mean you'll have your pass taken away and its renewal refused until you turn 65? No. Anyone who has been issued a pass already, resultant of their turning 60, will see this pass honoured even if they need it renewing before their 65th birthday. So far as we know, the Welsh and Scottish schemes will see no alteration (since they're funded centrally). Many thanks to all who have provided updates.